One state is looking to add an incentive for residents who wish to obtain a concealed carry permit, and it’s going to make liberals furious. Arizona House Majority Leader Steve Montenegro introduced a bill that would allow Arizonans to get a tax break if they obtain a concealed carry permit along with weapons training. Currently, any adult can carry a concealed weapon in Arizona under what is commonly known as “constitutional carry.” Providing a tax break for training only ensures safety for all involved. The measure would offer a tax credit of up to $80 toward the cost of a permit and training, according to KJZZ. The cost of a permit in Arizona is $60 and renewals cost $43. “Law enforcement have told us time and again that the first line of defense are those that carry CCW permits,” Montenegro said. “In essence, what it does is it’s bringing a level of awareness that we want to make sure that we can say maybe the next generation of those that want to have or possess firearms, they understand that we as a state value making sure that people are educated in how to use weapons or how to carry weapons,” he added. Approximately 3 million adults could benefit from the tax credit, which would cost the state about $240 million in revenue. Montenegro has not specified where those funds would come from. Liberals will no doubt fight the measure because it encourages citizens to exercise their Second Amendment rights, which they hate even more than most of our other God-given freedoms. No date has yet been set for the Arizona legislature to consider the proposal. JEFFERSON COUNTY, LOUISIANA — An armed robber held a Jack In The Box employee at gunpoint and when the employee failed to comply with his request, he allegedly shot and killed him according to police and surveillance video. WSFA 12 recalls the harrowing incident in which there were two employees on duty and one of them on the register when a 19-year-old with an illegally obtained handgun stood up the store nonchalantly. According to the Chief of Police, the employee showed no resistance to the armed robber. “A person who just walked into the restaurant, into the Jack’s as if he was going to make an order. Told the victim to get on the floor or he would kill him and eight seconds later he killed him. He just murdered the guy in cold blood as it could possibly be,” Pleasant Grove Police Chief Corky Knight said. The suspect is now in custody and will be charged with capital murder and robbery. He is also believed to be linked to a separate armed robbery at a pizza place not far from the Jack In The Box. Jack In The Box stated they intend to assist with the funeral expensesassociated with their employee’s death. It’s unknown what the Jack In The Box corporate policy is on employees being allowed to carry concealed so it’s impossible to know whether the employee in question even had the ability to be legally armed during the confrontation or whether or not that would have saved his life. What we do know is that armed citizens can and do play a pivotal role in ensuring crap like this doesn’t go down. Police can only be so omnipresent. Stories like this are an excellent example of why we carry — because perhaps it wasn’t just an employee but someone’s son, daughter, mother, or father that could and should have been saved by a good-hearted concealed carrier happening around the restaurant in the late night. We don’t know when that opportunity will present itself — to be in the position to save our own life or that of another from the likes of cut-throat monsters that have absolute no regard from human life. What we do know is if and when that moment does present itself, should we not be prepared to return that deadly force in kind? Concealed carriers are heavily dissuaded from using the terms “shoot to kill” or anything of the nature. That said, I sincerely hope the sweat off the brow of this cold-blooded murderer makes a crispy sizzle when it hits the electric chair. Pocket Carrying a firearm is becoming more and more popular as manufacturers make the pocket pistol even better. There has been an explosion of these firearms flooding into the market in recent years and in turn has driven up the desire for people to use this method of carry. Carrying in your pocket with a naked firearm is an absolute no-no. If you don’t want to be a ticking time-bomb, get some adequate protection for that trigger. A simple pocket holster that covers your entire trigger guard is the best option. The safest and most effective way is to keep your pocket clear of everything except your firearm and it’s holster. That means no keys, money, wallets or anything else. We don’t want anything that could potentially hit the trigger, and we want to be able to draw the firearm easily if needed. If you have a firearm in your pocket with the muzzle pointing toward the floor, you’re pretty good while you’re walking around. What if though, you’re at a restaurant with someone that is sitting directly across from you? Now, your firearm may be pointing directly at them. Keep the orientation of your firearm in mind when you’re moving about with your daily activities. Don’t break any of the 4 Rules of Gun Safety. Just as if you were carrying IWB, don’t touch your firearm all day. If you need to adjust, do so in a manner that doesn’t draw attention to yourself. Yes, pocket carry is much different than other methods where you may stand out more, but keep the touching to a minimum. Even though you’re responsibly carrying in a proper pocket holster, your firearm may still cast it’s outline in your pants pocket. Try not to print when your firearm is in your pocket (or anywhere for that matter). Remember, we’re going for concealed here. As always, make sure that you practice with any method of carry that you choose. Being unprepared if the time comes when you need your firearm is not a good situation to be in. There is no such thing as practicing too much. Castle Doctrine and Stand Your Ground Laws! Cover vs. Concealment...what's the difference? Cover VS Concealment: What’s The Difference? Nobody should ever stand out in the open and trade bullets with a bad guy. The second rounds start coming in, it’s well advised to take up some stable amount of cover. But what constitutes cover versus concealment and why is one more advantageous than the other? In this article, we’ll break down what each of them mean and how they play an important part in surviving a self-defense scenario. The scope of cover and concealment are quite extensive topics. 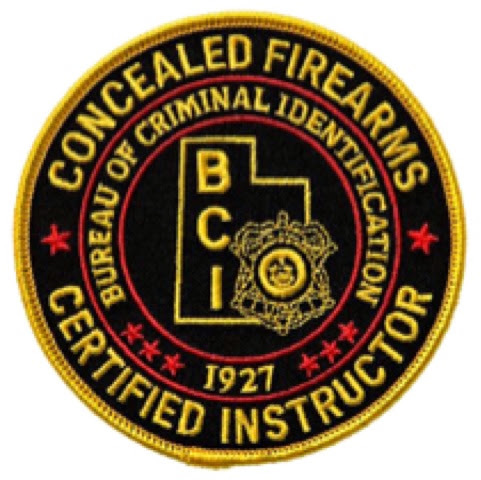 We’re going to focus on urban cover and concealment because many self-defense shooting scenarios occur in this setting. 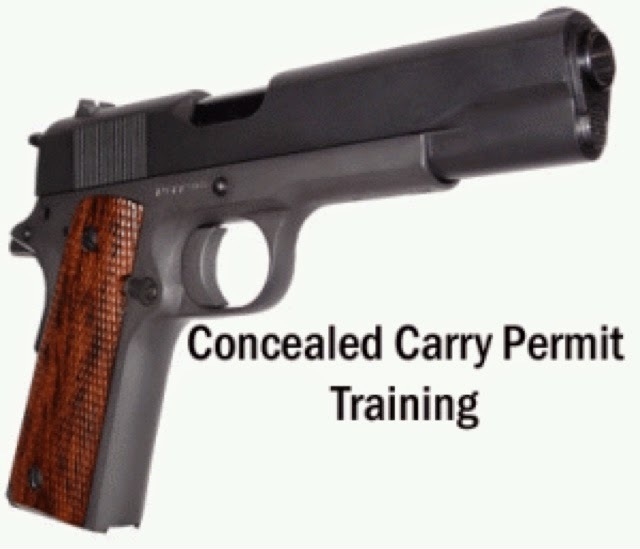 Cover Or Concealment – Which Is Better For Concealed Carriers? Right off the bat, let’s define what cover and concealment both mean. Using publications from the United States Marine Corps, we find MCWP 3-11.1 Scouting and Patrolling is very good reference to define cover and concealment. Good cover will ideally reduce the available space for an attacker to make contact with weapons (firearms or otherwise). Materials such as steel, concrete, water, packed earth, and thick wood all make great resources for cover. Good concealment will ideally allow you to observe your enemy without him (or her, or them) being able to readily observe you back. Elements like foliage, netting, shadows, fabric, and non-reflective surfaces can all make for a great basis for concealment. Your first priority in a live fire scenario is to reach proper cover. Good cover, unfortunately, can greatly limit your visibility – but it also limits your enemy’s visibility of your position. It is possible to combine both cover and concealment using the natural and artificial landscape elements about you. …can all serve to give away your position and destroy your chances of concealment. If you have any of those items on you, ensure they are securedprior to movement in an active shooting environment. Avoid placing yourself in high contrast with your surroundings. For instance, if you’re wearing dark clothes and your back is against a lightly colored wall – you are extremely visible. Conversely, wearing light colored clothes against a brick background can also work against you. Whenever possible, observe your surroundings and attempt to choose a route that provides the most shade. When your enemy may have a direct line of sight to your position, reduce superfluous motion to a minimum. That means no waving arms, issuing out calls for others, or fast, erratic movements. If you’re going to bolt – you’re deciding to abandon concealment altogether. That’s a choice. In an urban environment, your main priority is going to be using buildings to limit your enemy’s field of fire. When possible, try to avoid long, narrow corridors or exposed open ground. Skirt along the edges of buildings, using cars and hedgerows, and any other features of the landscape to make your way out of the active shooting environment. Fighting in an urban environment is extremely unpredictable. While buildings can provide great cover and concealment for observing an enemy’s position, they also feature plenty of pitfalls. A great resource to learn more about urban combat is the Marine Corps publication MCWP 3-35.3 – Military Operations on Urbanized Terrain(MOUT). While the majority of this document refers specifically to military operations, some of the advice it has when discussing movement down a street, and defensive operations (Chapter 3) are especially on point. The biggest downside to this publication as it relates to the concealed carrier would be the reliance on having numbers, a command structure, and support – three things not likely to be arriving in time to help. In a future article, we’ll go more into depth about cover and concealment in other types of environments and how you can use the natural terrain presented to facilitate either your escape from attackers or as an ad hoc defensive position. Remember: the job of the concealed carrier is to preserve his own life, that of his family, and of his property. And in so far as property is concerned, it is far better to retreat against superior numbers than it is to foolishly enter into a hostile shooting environment armed with little more than a pistol. Would you like us to cover more in-depth topics concerning survival in an active shooting environment? Let’s discuss it in the comments section below. The Oklahoma Department of Human Services has a strict policy when it comes to the Second Amendment rights of law-abiding foster parents that leave many with a precarious choice: go unarmed and keep the children or arm oneself and risk losing the children. To explicate, under the state DHS’s “Weapons Safety Agreement,” foster and adoptive parents must agree to keep their weapons locked up when their not in use, to not carry their firearms if a child is present (there is an exemption if one is required to carry a gun for work, e.g. a police officer) and to keep any firearm in an automobile unloaded, disabled and stored in a locked container. In other words, one must disarm when one’s foster children are present. One cannot carry a firearm for traditionally lawful purposes, such as self-defense outside the home, with foster children. According to the bureaucrats that run the DHS, the two-year-old policy isn’t an undue restriction on one’s right to keep and bear arms, but a sensible way to protect the children. Thankfully, the Second Amendment Foundation has filed a lawsuit challenging the policy on the grounds that it’s unconstitutional. “This mandate for foster parents is not just restrictive, it’s ridiculous,” said SAF founder and Executive Vice President Alan M. Gottlieb in a press release. “Why should a foster parent be stripped of his or her right to self-defense, or their ability to defend their foster child, simply to appease some bureaucrat’s anti-gun philosophy? “It is completely unconstitutional, and unfair,” began attorney David G. Sigale, who is representing the plaintiffs, a married couple from Moore who’ve, over the years, housed 34 foster children, “that those persons who are providing a better life and environment for children, through the State’s DHS foster care and adoption process, would have to give up the fundamental rights of self-defense and defense of family in order to do so. Foster children don’t have the right to be protected and parents don’t have the right to protect them? How completely unconstitutional and infringing is this?! This would also discourage people from becoming foster parents which is exactly the opposite of what needs to be happening! This ridiculous anti-gun sentiment that has been going around needs to be stopped, guns are responsible for saving lives and preventing tragedy every day. Our Second Amendment is vital to the freedom and safety of our country. What people don’t realize is that guns do exceedingly more good than bad, they prove to even out the playing field for the weak against the stronger criminals. Not only the weak but for those in a disadvantage that would normally end in tragedy. They prevents victimization of the innocent. Even if there were no guns there would be a ridiculous wave of people trying to ban an alternate weapon. There were always be criminals and murderers but it makes no sense to ban a weapon that saves more lives than it takes… And a weapon that is protected by the constitution. CHICAGO LAWN — When Marshall Hawkins walks around his neighborhood, he carefully picks a route based on the places where people haven't been shot. "If there are flowers on the block, you can go there," the 38-year-old said. "If there's been police tape or gunshots, you avoid it." Such is life for the former North Sider in his adopted Chicago Lawn neighborhood. Same for his kids, a 5-year-old and a 7-year-old. "On days that I can't pick them up and drive them to school, I give specific directions. 'Don't take this street. Go this way. Not that way,' " Hawkins said. One danger spot: 64th and Troy, the site of two fatal shootings since November. In a city pockmarked with gun violence, that corner stands out. But it's not alone. Since New Year's Day 2010, there have been more than 12,000 shootings in Chicago. More than 14,000 people were hit in those shootings, including more than 2,000 who died. DNAinfo Chicago plotted all the city's shootings and homicides on an interactive map below. Search by date, date range, neighborhood and more to see the hot spots, the clusters and the overall danger zones. The data analyzed by DNAinfo was compiled through a combination of Freedom of Information Act requests to the Chicago Police Department and DNAinfo's own record keeping. The total number of shootings refers to incidents in which someone was wounded by gunfire during a criminal act between Jan. 1, 2010, and July 6, 2015. It equates to about six shooting incidents per day. Of the city's homicides, about 87 percent are caused by gun violence. Only about 70 percent of homicides nationwide are caused by guns, according to the federal Centers for Disease Control and Prevention. In Chicago, shooting numbers are reviewed three times a week at the highest levels of the Police Department, including police Supt. Garry McCarthy and Chief Robert Tracy, who oversees crime strategy in Chicago. Those two, as well as other members of the command staff, get live updates of shootings on their smartphones. "We look at every shooting in the city," Tracy said. For the decade so far, shootings peaked in 2012 when 2,499 shootings resulted in 2,990 people being wounded. The next year saw a nearly 25 percent drop in shootings. The 1,920 shootings in 2013 were the lowest this decade. Through the first six months of this year, shootings are up 20 percent compared to last year. "We use it as a measuring stick of how we are improving," said freshman Ald. David Moore (17th), who represents parts of Chicago Lawn, West Englewood and Englewood. On the other extreme is Austin, the city's most populous community area, and nearly every year, the one with the most shootings. Except for 2011 when West Englewood led the city, that West Side neighborhood has led the city every year in shootings since 2010, hitting a low of 145 in 2013. Seven community areas — Austin, West Englewood, Englewood, Humboldt Park, Greater Grand Crossing, South Shore and Chicago Lawn — are the scene of about 35 percent of Chicago's shootings. Of those seven areas, the numbers have been most volatile in Marshall Hawkins' Chicago Lawn, a Southwest Side neighborhood that includes Marquette Park. It's an area where about half the residents are African-American and the other half are Hispanic. While Chicago Lawn doesn't lead the city in total shootings, the rise of shootings is noticeable to police and residents alike. "The [shooting] numbers matter, of course," said Francisco Lorzornio, a social worker with the Southwest Organizing Project, a community organization. "People hear it. They see it. It's trauma. It gets dark." The community area ranks seventh in total shootings since 2010: 555 people have been shot in 470 incidents. Of those people, 75 died. As with citywide shootings, some years are calmer than others in Chicago Lawn. In 2012, there were 110 shootings, about one every 80 hours. That year, 133 people were shot, 17 who were killed. Last year, there were 56 shootings in the area resulting in 63 people getting shot (16, or nearly a quarter, were killed). The numbers are going back up this year, with 45 shootings through the Fourth of July weekend, almost certain to exceed the number of shootings from last year. Everyone from police to residents has noticed the increase. "It has gone up in that area. We have recognized it, and we are working on strategies to address it," Tracy said. In May, the Chicago Lawn police district held its first-ever gang call-in, bringing in members of various factions for a dose of tough love. "We tell them, if they don't heed our warnings, we will come after them," Tracy said. The police know even a single shooting will reverberate in the neighborhoods. "When you take a look at some of these communities, a reduction from 10 shootings a year to five is real," Tracy said. "But the fact is there are still five shootings happening." For residents, each shooting says something about an individual block. But elected officials like Moore point out that shootings mean something about the city as a whole, too. "When people on the outside hear about these shootings, they don't say Chicago Lawn. They don't say Englewood," Moore said. "They say Chicago." I’ve written before about criminals and the guns they carry. My study was obviously limited by the relatively small number of guns my upscale suburban police department seizes. Other police departments seize far more guns than we do. Currently, the Chicago Police Department seizes the largest number of firearms used in crimes. I found this article to be incredibly interesting. It is a complete account of all the weapons seized from criminals by the Chicago Police in 2014. Astonishingly, they seize more than 6000 guns a year! So, what kind of guns are they taking off criminals? It isn’t the ones that are cheap and easy to conceal. The brands taken most frequently were Glock, Smith and Wesson, and Ruger. Most of these weapons are mid to full sized duty pistols. Those handguns are not the cheap and easily concealed “Saturday Night Specials” that criminals stereotypically carry. Dr. James Wright, in his book “Armed and Considered Dangerous” found that the criminals he studied preferred larger, more powerful, and more reliable handguns over smaller, cheaper, and more easily concealed ones. This study supports that hypothesis. If you truly analyze the statistics, it’s really not surprising. Where do criminals get their guns? Mostly from stealing the weapons from lawful gun owners. What guns do lawful gun owners most often use for home protection? You guessed it, Glock, S&W, and Ruger auto pistols. It shouldn’t be a shock that these stolen guns are what the criminal is caught with. The Chicago PD article was great. Another excellent resource to see the guns that criminals carry is the Baltimore PD Facebook Page. They regularly show photos of the guns they seize from criminals. Even more interesting is the fact that they show the ammunition that was carried in the gun at the time it was seized. Looking through a relative sample shows me that similar to my own study, criminals often carry mixed ammo types and guns that are less than fully loaded. 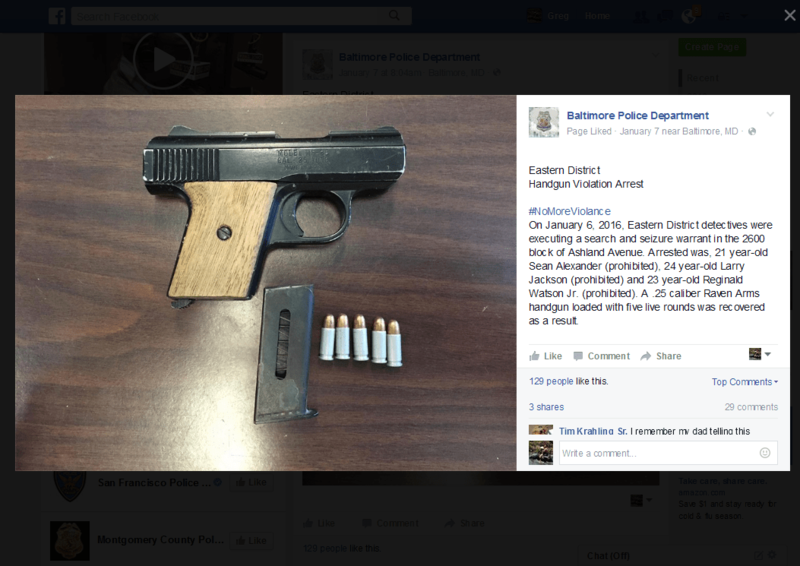 An example of a seized weapon post from Baltimore PD’s Facebook page. One other trend I would like to mention is when criminals alter the appearance of guns to make them look like toys. The idea is to cause police officers and armed citizens to hesitate when confronted with one of these “toy” guns. Criminals will hide real guns inside the shell of toy guns, paint an orange tip on the barrel of their pistol, or paint the entire weapon a bright florescent color to make it appear more like a toy. Take a look at the picture below. 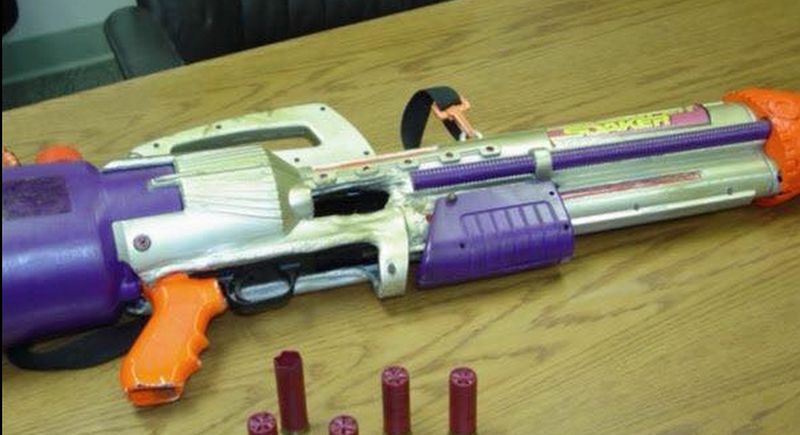 It is a fully functional pistol gripped shotgun hidden within the shell of a super-soaker water gun. These are the kind of modifications you should be alert for. Mossberg 12 gauge seized by police. Don’t think that this is some kind of “urban myth”. Two weeks ago officers in my department were called out to investigate some suspicious people who were hanging out behind a closed business late at night. The officers found the men seated in a car in the parking lot. When officers checked the driver’s identity, they found he had a warrant for his arrest. The officers ordered the man out of the car and he complied. As soon as he got out, the officers saw a gun on the floor of the car where the driver had been sitting. They arrested the driver and seized the gun. The gun was a stolen .40 caliber Glock 22. It was loaded with a full capacity magazine and had a loaded 31-round extended magazine as a spare. Even more interesting is the fact that the entire gun HAD BEEN PAINTED BRIGHT LIME GREEN. The thieves were clearly attempting to create the illusion that their .40 Glock was merely a toy. The days of criminals regularly carrying junky .25 autos are over. Today’s criminals carry full sized auto pistols and will employ every trick in the book to cause you to hesitate before shooting them. Should the age requirement be lowered for CCW licenses? Weigh In: Should Age Requirement for Concealed Carry Be Lowered? Should 18 year-olds be allowed to carry concealed? Do the majority of responsible gun owners support a lower age for concealed carry? Here’s James England’s opinion from aliengearholsters.com blog. There is no federal mandate on the minimum age a person needs to be to acquire a concealed carry permit. Each state has created their own age restrictions. While most states have a requirement to be 21 or older to obtain a concealed carry permit, states like New Hampshire have no clear age requirement on the books. Some states permit an 18 year old to obtain a concealed carry permit if he’s in the military. Other states, like Indiana, set the age at 18 on the nose. He explains that it would be either federal boondoggle or state-by-state fight. Federal boondoggle would slowly kill out the support and make the whole proposed law a burden by the the time it went through House and Senate. He believes that at the end of the process there would be provisions and fixes that would take away the benefits of the law in the first place. With the 50 states passing legislation to lower the permit age it would just explode into hubbub and ridiculous arguments for and against it. The best way to drop the age of concealed carry down to 18 – or eliminate it altogether – would be to propose specific changes to your state’s bills. More powerful than a letter to your state representative or senator would be to find the part of your state’s law that specifies an age and ask for that specific piece to be eliminated or amended as you see fit. Not only are you giving a concrete solution to the problem, you’re making the drafting process easier for the legislator. After all, it’s all about getting the right people into the concealed carry club. I agree with James, it really should be left up to the state. I for one would probably support it along with training and such that goes along with it for younger people, because we do have young people going into the military that protect our country but aren’t allowed to protect themselves. Its still a tough call, but if you have enough gun safety and education with young people it shouldn’t be a problem. 3 commonly misused gun terms...does it matter? A 2016 New Year's Resolution For Everyone!! !